Join us for a fun sightseeing tour of the Lake. 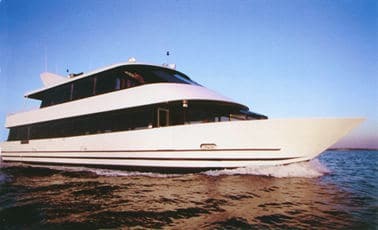 Relax with colleagues and new friends in luxury aboard the Tropic Island II, a new 75′, 150 passenger motor yacht. Light appetizers provided. Cash Bar. Note: If you plan to eat dinner after the cruise, there are several restaurants at the resort.